Will Apple's subscription news service be a hit? Apple is reportedly having no problem signing up publishers for its proposed 50-50 revenue split deal for its news subscription service. Despite the massive cut Apple is demanding, a new report claims that it has “already signed many publishers to deals.” These companies are banking on Apple being able to pull off an iTunes-style rescue of the news business. As such, they believe they’ll get a smaller piece of a big business, rather than a big piece of a small one. The report comes from Recode. It follows another recent report, from the Wall Street Journal, which described Apple’s proposed terms. These immediately caused outrage among some pundits. That’s because it would mean Apple demanding a much higher percentage than the current revenue split that Apple offers developers. Publishers, meanwhile, would have to pay for the actual news-making side of things out of their cut. That would mean paying journalist, running news rooms, providing content, and the like. On the plus side, publishers would get to keep 100 percent of the ad revenue their titles generate. But will it get newspapers too? While Apple will likely find plenty of publications willing to jump on its new service, however, this may not be the case universally. Recode suggests that Apple may face problems when it comes to recruiting newspaper giants. That’s because they already offer their own subscription services. In most cases, these cost more per month than the $10 Apple is planning to charge for all bundled magazine services. 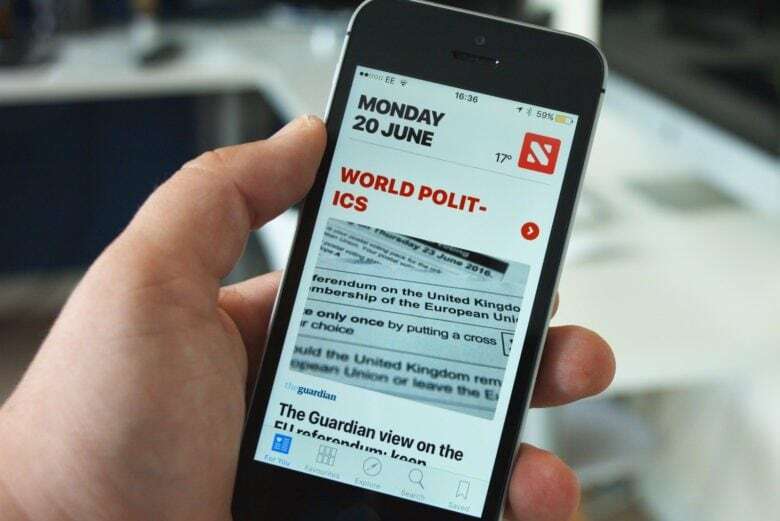 Apple is rumored to be packaging its news subscription service inside its Apple News app. With 90 million current Apple News users, this could bring a whole lot of new readers and subscribers to magazines and other publications. Apple’s current subscription model service, Apple Music, has around 50 million users.